Pick Your SIZE. Choose Your Color. Pick Your Tee. It’s Your Choice. 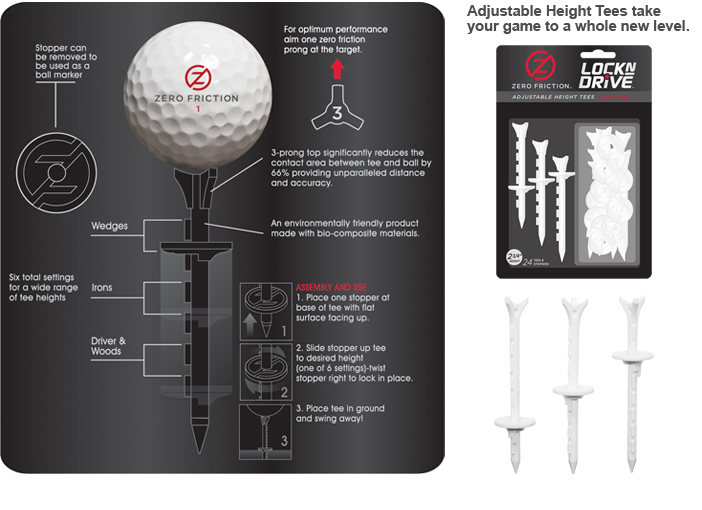 The Zero Friction Lock n Drive™ is a unique tee system that allows you to place your tee at the same consistent height every time, and is complete with Zero Friction’s™ patented 3-prong design. This allows for the Lock n Drive™ to deliver accuracy in height and at impact every time.